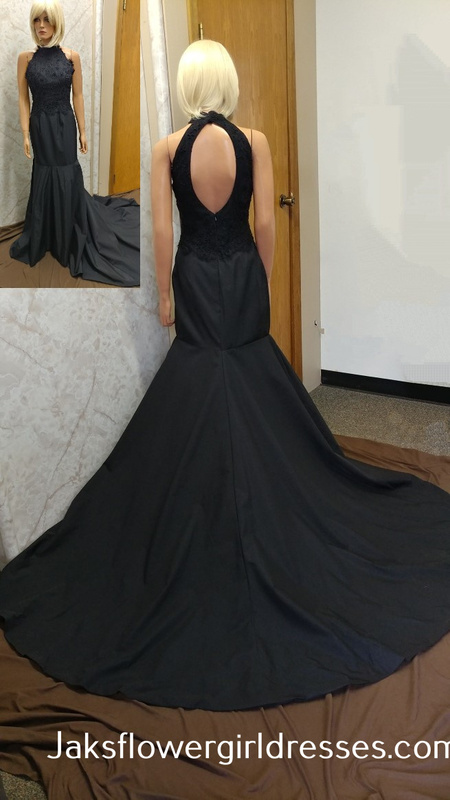 This is some of our gowns, shown in black, however all of gowns can be ordered in black. Prom, Pageant, Bridesmaid and Evening dresses. Click on photo for more information. Halter Jeweled Mesh Panel Evening Gown Show off your wild side in this evening gown. The sculpted bust is accented with stunning jewels at the halter-style straps and down the mesh panel at the center. This asymmetrical neckline gives way to a sparkling ring detail that frames the back for a stunning look. Shimmer moves across the bust, as pleats add texture. The smooth bodice hugs your shape and a side slit at one leg is trimmed in jewels. A long train trails this amazing dress. Black and white asymmetrical evening gown. 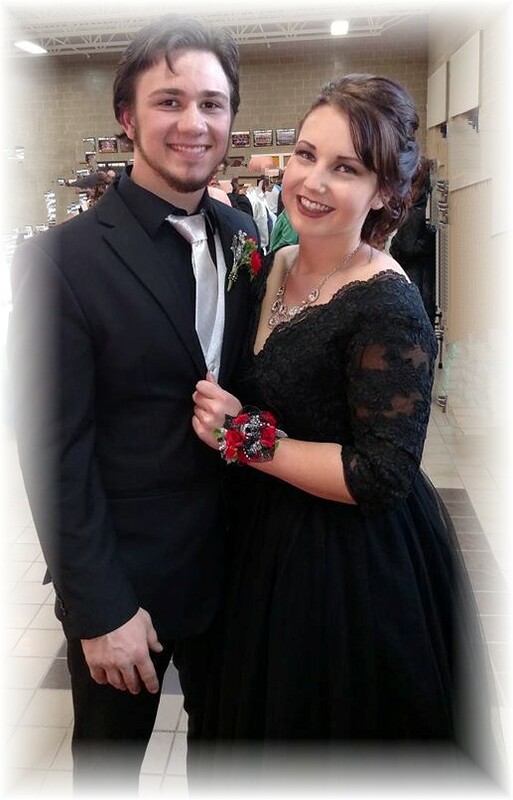 Satin fit and flare prom gown with a beaded v-neck halter neckline that extends into a crisscross back. Flared skirt has box pleating. 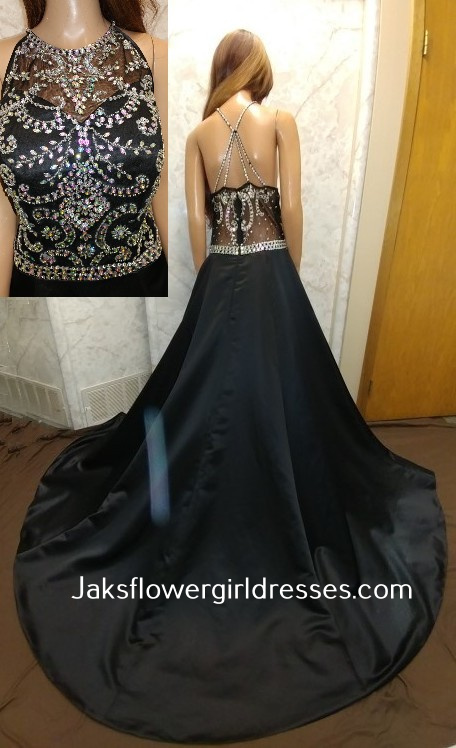 long black dresses for prom or holidays. 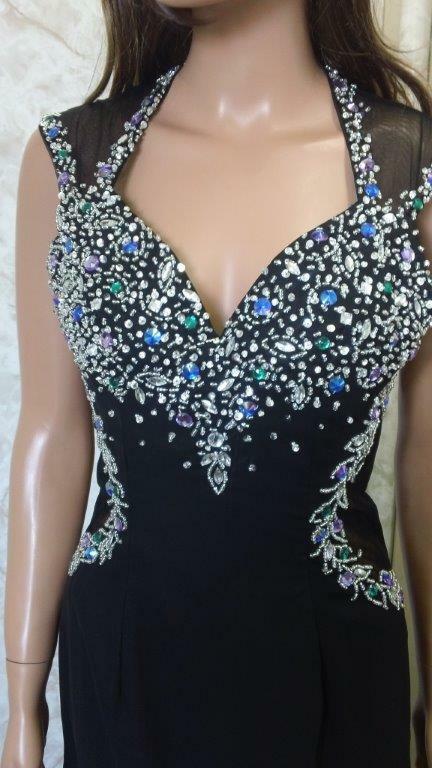 The smooth bodice hugs your shape and a side slit at one leg is trimmed in jewels. A long train trails this amazing dress.